"Ravan" and "Ravanan" redirect here. For other uses, see Ravan (disambiguation). Ravana, a devotee of Lord Shiva, is depicted and described as a great scholar, a capable ruler and a maestro of the veena. He is also described as extremely powerful and has ten heads. His paramount ambition is to overpower and dominate the devas. 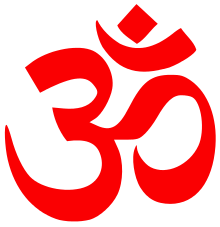 His ten heads represent his knowledge of the six shastras and the four Vedas. In the Ramayana, Ravana kidnaps Rama's wife Sita to exact vengeance on Rama and his brother Lakshmana for having cut off the ears and nose of his sister Shurpanakha. Ravana is worshipped by Hindus in some parts of India, Sri Lanka and Bali (Indonesia.) He is considered to be the most revered devotee of Shiva. Images of Ravana are seen associated with Shiva at some places. Statue of Ravana at Koneswaram Temple, Sri Lanka. The word Rāvaṇa means roaring opposite of Vaiśravaṇa meaning "hear distinctly" (passive). 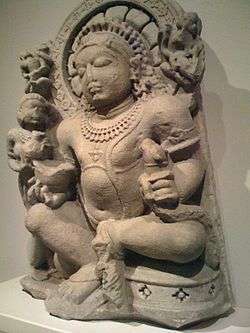 Both Ravana and Vaiśravaṇa, who is popularly known as Kubera, are considered to be patronymics derived as sons of Vishrava. 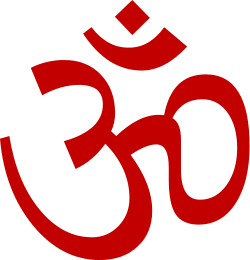 According to F. E. Pargiter, the word may originally have been a Sanskritisation of Iraivan, the Tamil name for a lord or king. 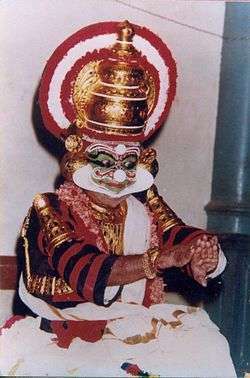 Ravana has many other popular names such as Dasis Ravana, Dasis Sakvithi Maha Ravana, Dashaanan, Ravula, Lankeshwar, Lankeshwaran, Ravanaeshwaran, Eela Vendhar. 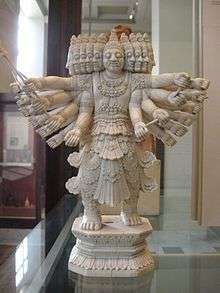 Ravana is depicted as having ten heads, although sometimes he is shown with only nine heads because he has sacrificed a head to convince Shiva. However some story in Java told that every year Ravana cut one of his head every year and present it to Shiva as representative of his devotion. Each head was reflecting his desire. By cut it and present it, he was sacrificing one of his many desires to appease Shiva. He kept doing it every year until the last one. Turned out the last head was considered as the true head of Ravana and Shiva considered his devoutness is a worthy one and his sacrifices were accepted. 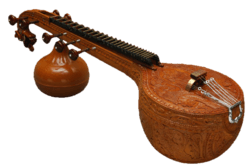 He is described as a devout follower of Shiva, a great scholar, a capable ruler and a maestro of the Veena. Ravana is also depicted as the author of the Ravana Samhita, a book on Hindu astrology, and also Arka Prakasham, a book on Siddha medicine and treatment. Ravana possessed a thorough knowledge of Siddha and political science. He is said to have possessed the nectar of immortality, which was stored inside his belly, thanks to a celestial boon by Brahma. Ravana was born to a great sage, Vishrava (or Vesamuni) and his wife, the daitya princess Kaikesi. People of Bisrakh village in Uttar Pradesh claim that their village was named after Vishrava and that Ravana was born there. 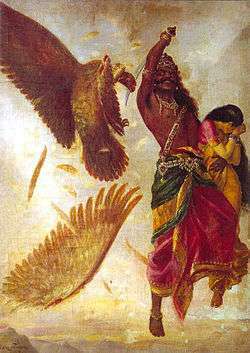 Ravana fights Jatayu as he carries off the kidnapped Sita. Painting by Raja Ravi Varma. According to Uttara Kanda section of Ramayana, the Rakshasa (also known as Raksha) clan were the mythical inhabitants of Lanka who were said to have lived among the Naga, Yaksha and Deva. They were led by Malyavana, Sumali and Sukesha of the Raksha, who were ousted by Deva with the help of Vishnu and then subsequently ruled by Ravana. The Raksha vanish from history after their mention in the Ramayana, except in Sri Lankan folk stories. European scholars consider the story of Ravana and the Raksha to have been made in historic times, due to knowledge of Sri Lankan locations mentioned in the stories and therefore the story is considered not to be based on fact. The Mahavansa also makes no mention of a great Raskha civilisation and there is no archaeological evidence suggesting a civilisation ruled by Ravana existed. 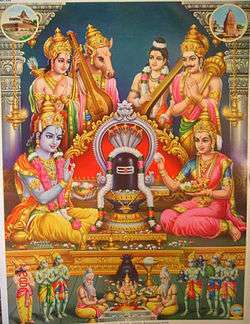 There are some Shiva temples where Ravana is worshipped. Ravana is considered the most revered devotee of Shiva. The images of Ravana are seen associated with Shiva at some places. Koneswaram temple, Dhen-Dakshina Kailasam is a classical-medieval Hindu temple complex in Trincomalee, a Hindu religious pilgrimage centre in Eastern Province, Sri Lanka. This temples is associated with Ravana and his mother. They had worshiped Shiva at the shrine. Kanniya Hot water spring in Sri Lanka has the history from King Ravana era. It says that King Ravana stuck the earth with his sword in several spots for his mother's funeral event and several fountains were started on those places. The water was hot and it is now a tourist attraction in Sri Lanka. The Sachora Brahmins of Gujarat claim descent from Ravana and sometimes have Ravan as their surname. There is also reference to the Ravani lineage of Upadhyaya Yasastrata II, who was of Gautama gotra and was a son of Acharya Vasudatta, and described as born of Ravani. The Battle at Lanka, Ramayana by Sahibdin. 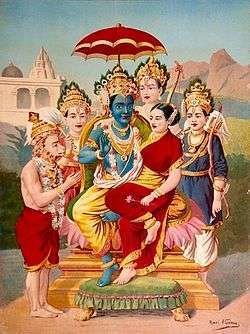 It depicts monkey army of the protagonist Rama(top left, blue figure) fighting Ravana—the demon-king of Lanka—to save Rama's kidnapped wife Sita. The painting depicts multiple events in the battle against the three-headed demon general Trishira, in bottom left. Trishira is beheaded by Hanuman, monkey-companion of Rama. In Thai text, Ramakien, an epic influenced by the Ramayana, Ravana is a yaksa or a rakshasa.. In the same text sometimes Ravana is also considered an asura. The Thai names for Ravana, among others, are Rapanasur ("the Asura Ravana"), Totsapak ("One with ten faces") or., more popularly, Totsakan ("One with ten necks"). Yawana or Datha-giri, in the Burmese unofficial national epic Yama Zatdaw. Jain accounts vary from the traditional Hindu accounts of Ramayana. The incidents are placed at the time of the 20th Tirthankara, Munisuvrata. According to Jain version, both Rama as well as Ravana were devout Jains. Ravana was a Vidyadhara King having magical powers. Also, as per the Jain accounts, Ravana was killed by Lakshmana and not Rama. ↑ "Ravana". Random House Webster's Unabridged Dictionary. ↑ Mani, Vettam (1975). Puranic Encyclopaedia: A Comprehensive Dictionary With Special Reference to the Epic and Puranic Literature. Delhi: Motilal Banarsidass. p. 354. ISBN 0-8426-0822-2. ↑ Merriam-Webster's Encyclopedia of World Religions. Merriam-Webster. 1999. p. 909. ISBN 9780877790440. ↑ Rao, Desiraju Hanumanta. "Valmiki Ramayana - Aranya Kanda - Sarga 18, Verse: 3-18-22". www.valmikiramayan.net. Retrieved 2016-10-27. ↑ "Only the elderly come to mourn Ravana in 'birthplace' Bisrakh". The Indian Express. 2014-10-04. Retrieved 2016-06-14. ↑ "Bisrakh seeks funds for Ravan temple - Times of India". The Times of India. Retrieved 2016-06-14. ↑ Roy, Janmajit (2002-01-01). Theory of Avatāra and Divinity of Chaitanya. Atlantic Publishers & Dist. ISBN 9788126901692. ↑ "Early Tamils of Ilangai". Scribd. Retrieved 2016-09-05. ↑ "?". IBN Live. Archived from the original on 12 September 2014. ↑ Ramayana Research. (2008). A Short History Of Heladiva. Available: http://ramayanaresearch.com/heladiva.html. Last accessed 14 March 2010. ↑ H. Parker (1909). Ancient Ceylon. New Dehli: Asian Educational Services. 7. ↑ H. R. Perera. (1988). Buddhism in Sri Lanka - A short history. Available: http://www.buddhanet.net/pdf_file/bud-srilanka.pdf. Last accessed 02 10 10. ↑ Ravana has his temples, too. The Sunday Tribune – Spectrum. 21 October 2007. ↑ Vachaspati.S, Ravana Brahma [in English], 2005, Rudrakavi Sahitya Peetham, Gandhi Nagar, Tenali, India. ↑ Kamalesh Kumar Dave,Dashanan [in Hindi], 2008, Akshaya Jyotish Anusandan Kendra, Quila Road, Jodhpur, India. ↑ People of India: A - G., Volume 4. Oxford Univ. Press. p. 3061. ↑ Vyas, Lallan Prasad. Prachi Darshan. p. 98. ↑ Ramanujan, A.K. (1991). "Three hundred Rāmāyaṇas: Five examples and Three thoughts on Translation". In Paula Richman. Many Rāmāyaṇas: The Diversity of a Narrative Tradition in South Asia. University of California Press. p. 35. ISBN 978-0-520-07589-4.